Life in Israel - the boring, the scary, the strange, the funny and extra-ordinary things that you can only find in the Holy Land! This evening, we will start to commemorate the Holocaust here in Israel. All the movie theatres and restaurants and other places of entertainment will be closed and only movies and documentaries about the Holocaust will be shown on the local television stations. Tomorrow all the children will wear white and there will be ceremonies held throughout the country at schools and municipalities. The Polish survivor Zipora Nahir will speak on behalf on the Jews who have survived the Holocaust at Yad Vashem, the World Holocaust Remembrance Center in Jerusalem. Then survivors from six different countries will each light a torch in memory of the six million Jews who were killed. It is a sad and solemn and tear-filled day and emotionally draining. And continuously throughout all the ceremonies and radio shows and candle lighting, this remembrance day will unfold against the soundtrack of the songs from the album “Ashes and Dust”. Many Israelis, old and young, know the sad words of the songs by heart. “Ashes and Dust” was released in 1988 by the rock musicians Yehuda Poliker and Yaakov Gilad. The songs were originally written for a radio program that aired on Holocaust Memorial Day in 1986. The program was dedicated to the experiences of the Holocaust survivors’ children. These children are often called the second generation survivors. Even though they did not experience the Holocaust themselves, they were the constant witnesses to their parents’ memories, they had to live with their parents’ survival guilt as well as their impossible high expectations. These children also had to be a substitute for all the relatives that were killed during the Holocaust. Many of them, also Yehuda Poliker and Yaakov Gilad, were named after lost family members. Some children were given two or even three first names. Yehuda Poliker , who composed the music of the album, was born in 1950. Both of his parents were originally from Thessaloniki (Greece) where they had lost their entire families in the Second World War. His music has a distinct Mediterranean flavour. Yaakov Gilad wrote most of the lyrics of the songs. He was born in 1951 to parents who were Holocaust survivors from Poland. The creation of the “Ashes and Dust” album was supposed to be a personal project for Yehuda and Yaakov and they thought that it would only be of interested to a small group of people. Instead it became a huge success and has morphed into the music that the Holocaust is remembered by. The album is filled with the individual stories of the survivors and their children. Many of the stories, in various and varying degrees, are similar to those of other survivors and their children. A second generation survivor mentioned that that the songs in the album finally gave a voice to how he felt growing up as a child. The main message of the album is to show the point of view of the Holocaust survivors’ children, even though both the parents’ and the children’s stories are told. 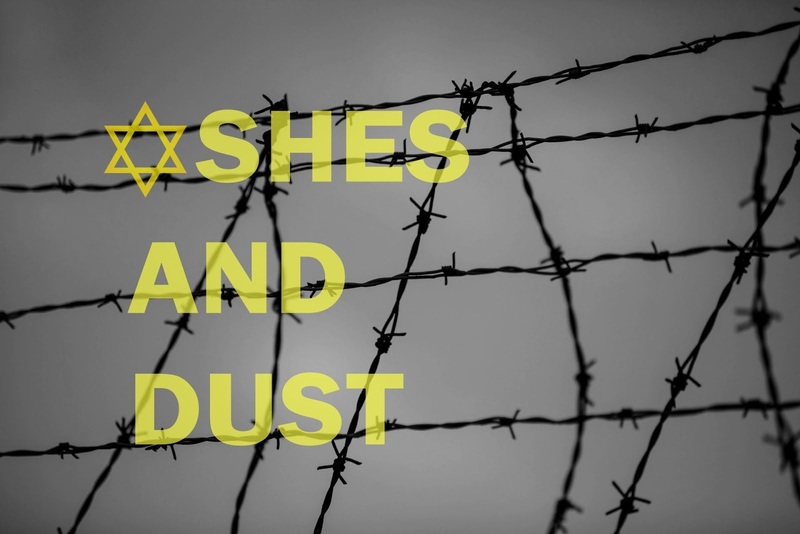 The theme song of the album, also called “Ashes and Dust” is from the perspective of a son whose survivor mother returns to Poland for a visit. I found it heartbreaking how the son sounds more like the parent than the child in the relationship. Between the ruins of your city. yet my heart is breaking inside me. Not even a house that you will remember. And if you are going, just where are you going to? Forever is just ashes and dust. Years gone by but nothing is erased..
think of me sometimes too. Who will sweeten your nights? Who will listen to your crying? Who will stay with you on your path? Take a coat, you'll feel the cold. I could not find the translated lyrics of the song "After the rain" but you can listen to it here. In the comment section of this video, Uri S. wrote that this song was written following the return of Poliker's father to Thessaloniki immediately after the end of World War II. At the time of his return, which was fraught with harsh feelings, he came to the barbershop he owned, where he confronted the locals who told him: "It's a pity they did not make soap out of you." "A window facing the Mediterranean" - which is written as a survivor's letter to his relatives. "When you grown up" - about being an orphan. The translated lyrics can be read in the comment section of Yaacov Lozowick's blog. And "Because" - which deals with the tormented and difficult relationships between survivors and their children. The music is extremely harsh and disturbing. You can find the translated lyrics here. So many of the Holocaust survivors have passed away and the handful that are still alive are now in their 70’s,80s and 90’s. So it is easy that understand that the stories of the Holocaust has shifted to the stories of the memories of the Holocaust. And the children of the Holocaust survivors have become the storytellers. They may not have lived through the Holocaust but their entire lives were influenced by it. The heavy load and guilt of being alive and to tell the stories of those who cannot do it themselves had been placed on too small shoulders. The songs from the album “Ashes and Dust’ show the conflict between the duty of remembering and the heavy mental cost of such a burden. Here in Israel every Jew will remember the dead tonight and tomorrow and will keep standing witness, year after year, to all the atrocities of the Holocaust. We will light the candles and we will cry and we will stand quietly when the sirens ring because the burden of remembering is everyone’s burden. Get the latest updates from "A letter from Israel"
I hate spammers and promise I will never send you spam. What is the connection between pomegranates and the Jewish New Year? Text and photos (unless otherwise stated) are copyrighted to Marina Shemesh. Powered by Blogger.